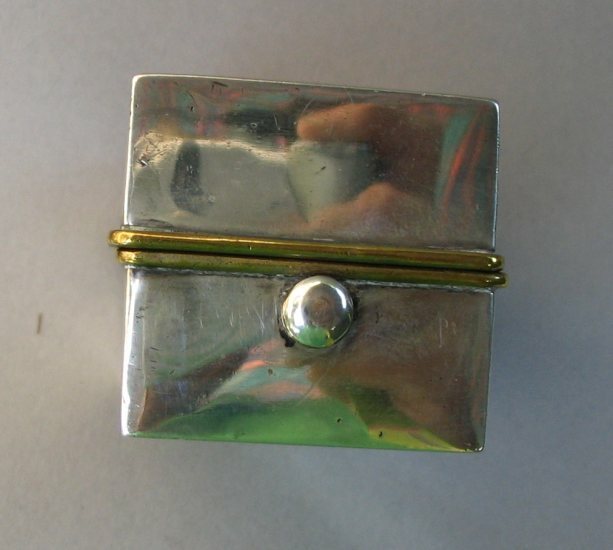 this is a sterling silver travelling spirit burner. 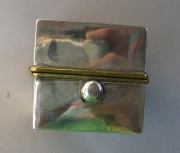 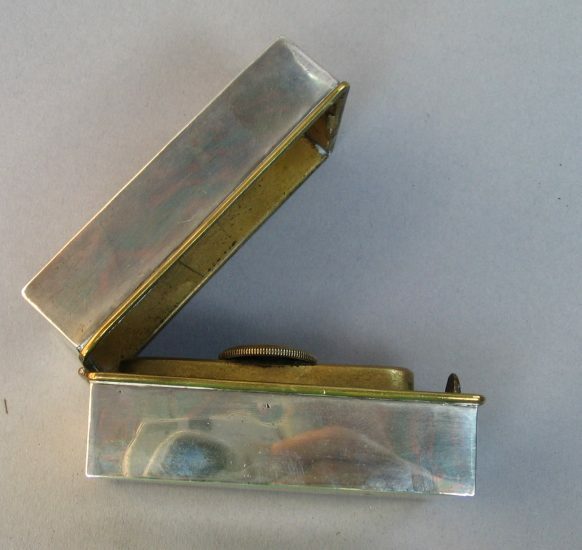 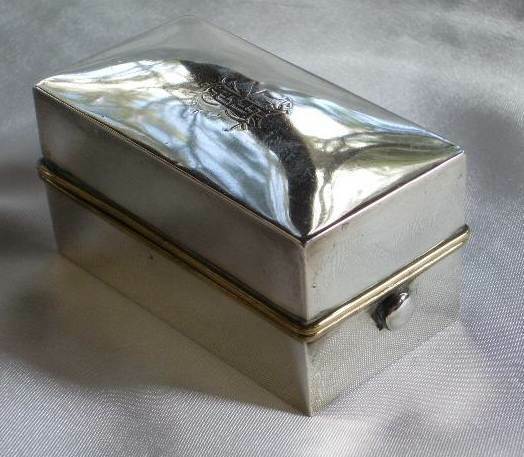 It is a sterling silver box, with hinged lid complete with brass fitted interior used to heat ladies hair curling irons. 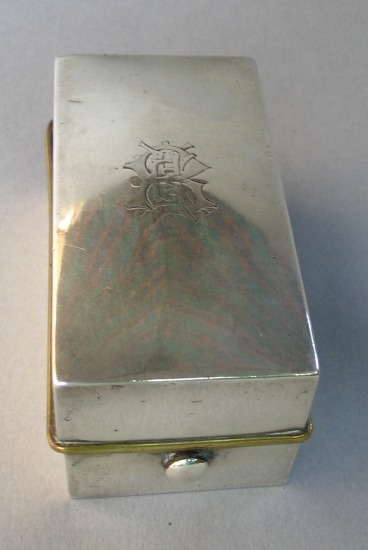 The curling device rested on a pair of folding supports and the iron was made hot by the spirit flame. 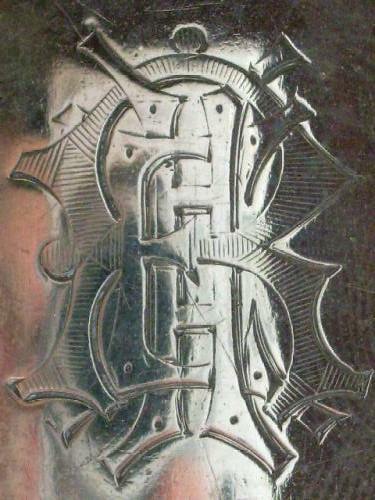 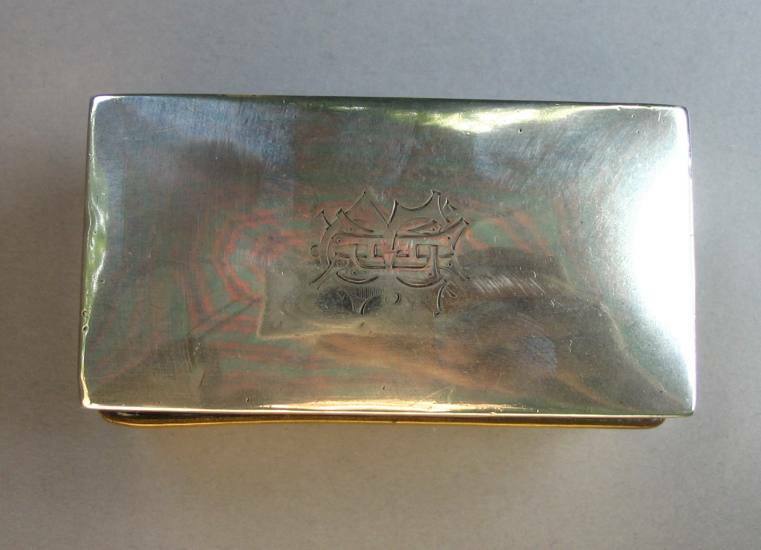 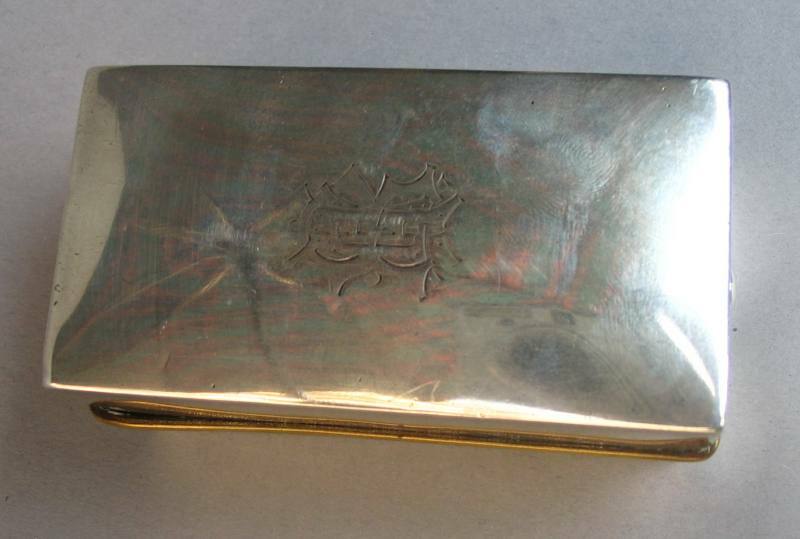 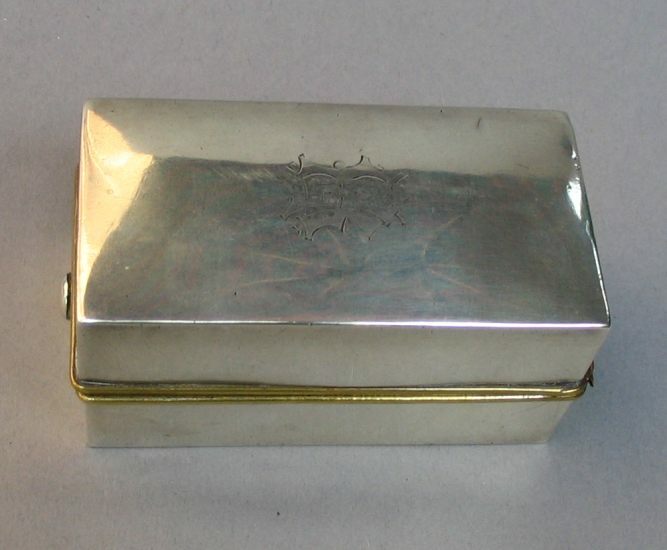 The silver box is decorated with a monogram (not identified) and is fully hallmarked for Birmingham 1892. 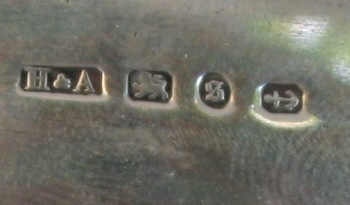 The maker is Horton & Allday (1891 - 1933). 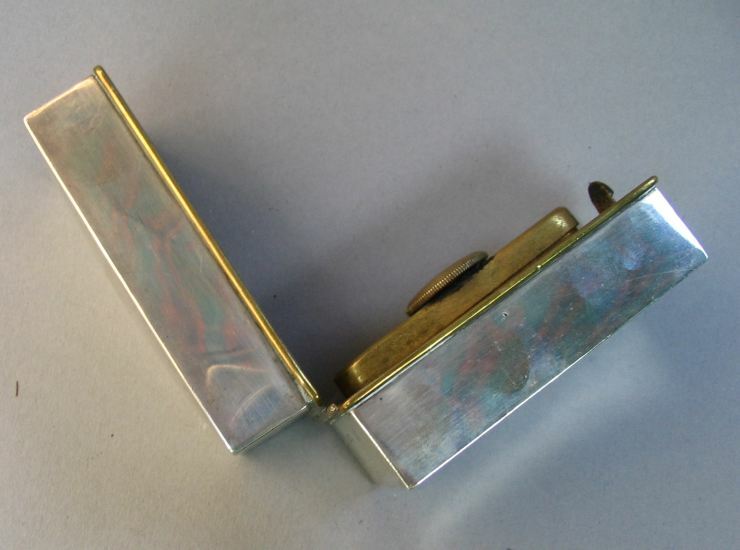 In these images it is accompanied with a hair curling iron made by Mulholland Bros Inc. - Aurora, IL, active between 1915 and 1932. 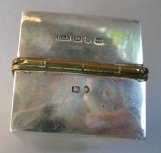 The spirit burner measures 3,5 in. (cm. 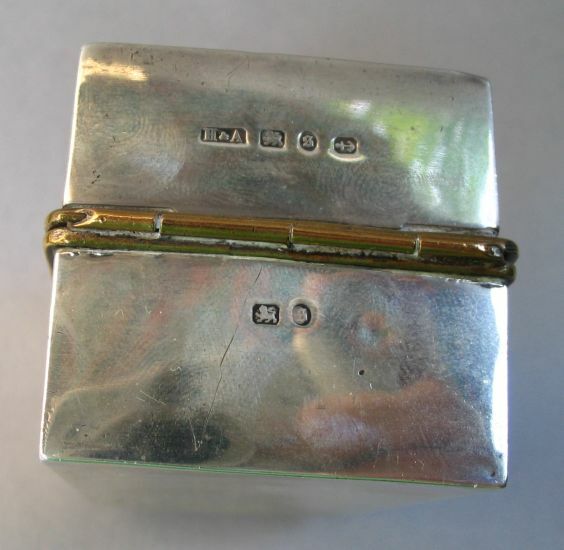 9) and was bought from an Australian dealer through the Internet.